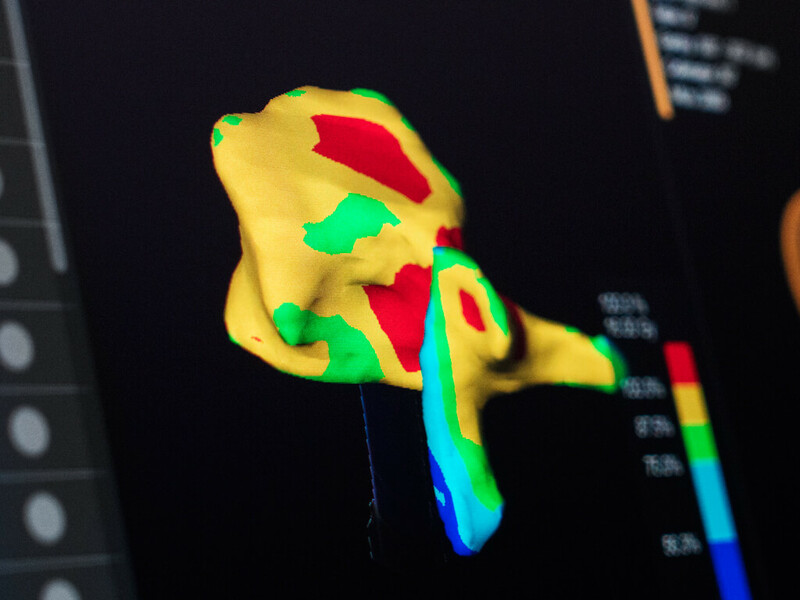 Elements Spine SRS presents solutions to many of the current challenges in spine radiosurgery and automatically produces a highly conformal dose to avoid the critical spinal cord structure. 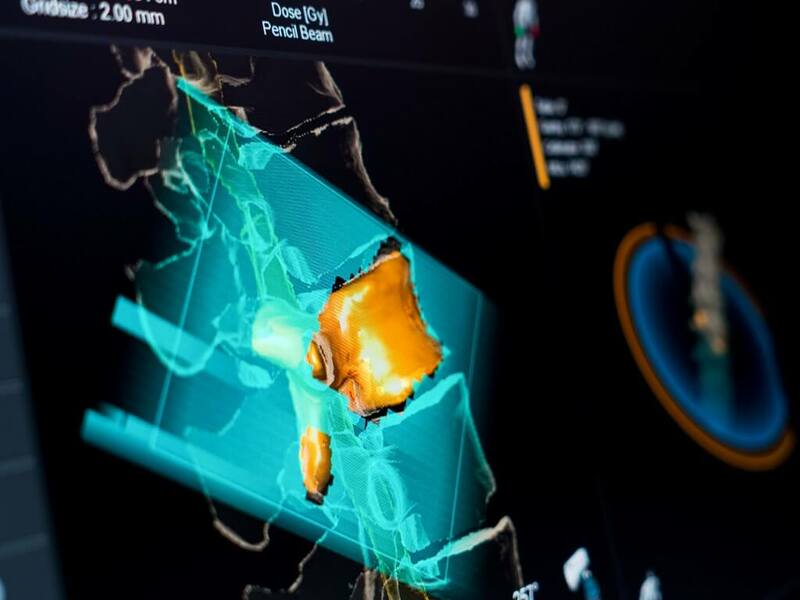 Planning critical lesions like those for spine stereotactic radiosurgery often demands significant experience and time from treatment planners. Automatic treatment planning is a way of raising the overall plan quality, to consistently create high-quality treatment plans in an efficient manner. Users need only define OAR constraints once using protocols for specific fractionation schemes. 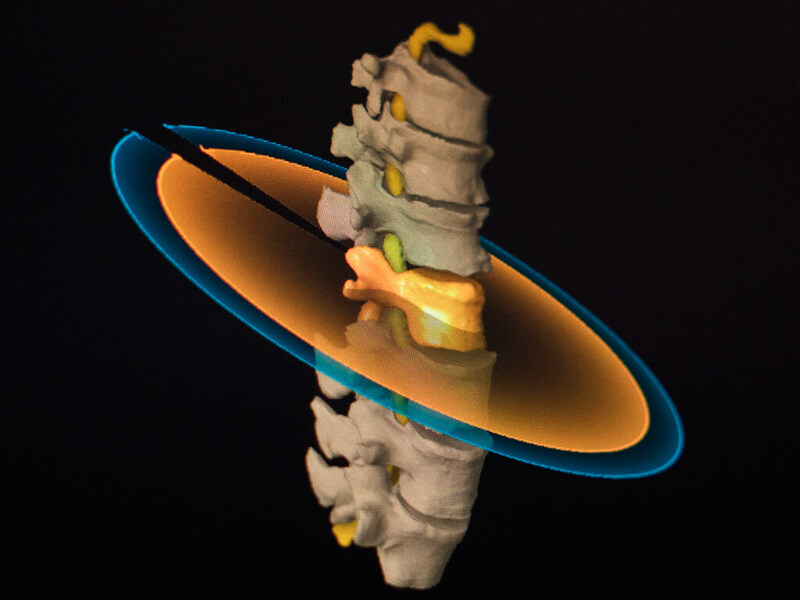 Creating a highly conformal dose for spinal lesions can be complex due to the unusual shape of vertebrae. 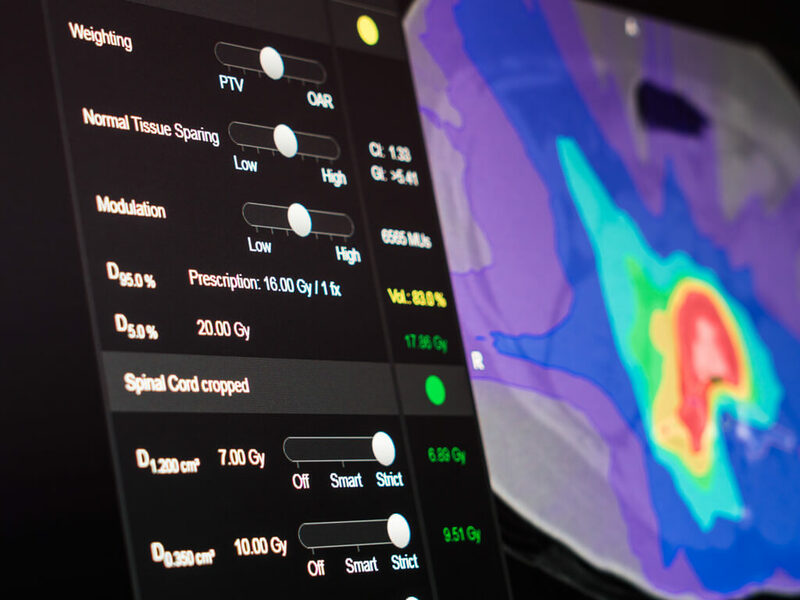 The Elements Spine SRS algorithm internally breaks down the PTV into a number of smaller targets to achieve excellent dose planning metrics. 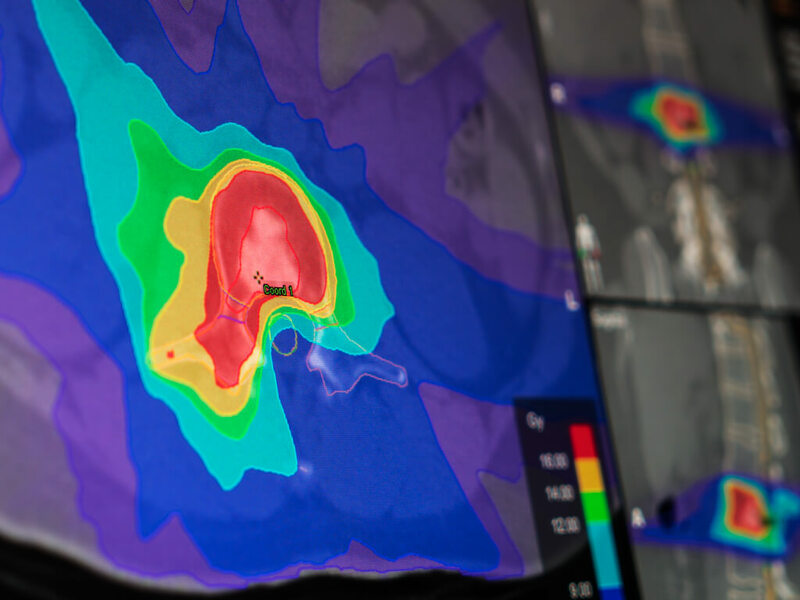 In order to create the sharpest dose gradient and most MU-efficient plans, the unique Brainlab VMAT approach is an elegant mixture of automation and control. It is characterized by intuitive optimization tools that enable the user to make subtle plan modifications. To achieve balance between calculation speed and accuracy, plans are classically generated with an approximate dose calculation to determine optimum machine parameters and then recalculated with a more accurate dose engine. Elements Spine SRS offers a tightly integrated approach to combine speed with even higher accuracy. 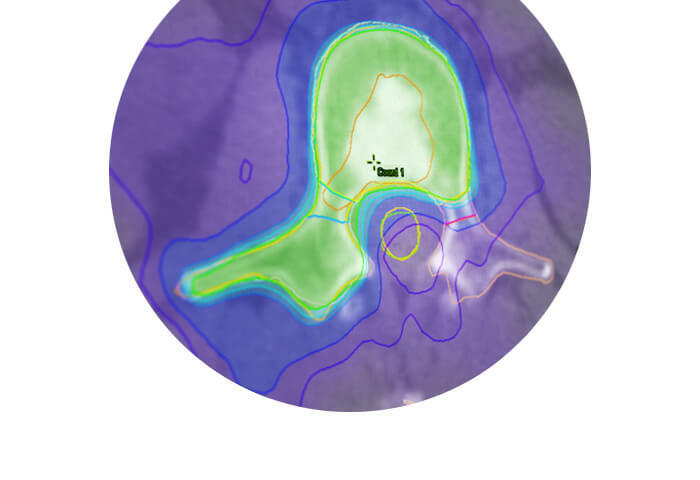 Control over planning parameters is facilitated via straightforward views and unique dose displays. These have been implemented for not only PTV but also for the most critical OAR so that trade-offs can be readily assessed.